Table: Retrieval and organization of data in rows and columns. 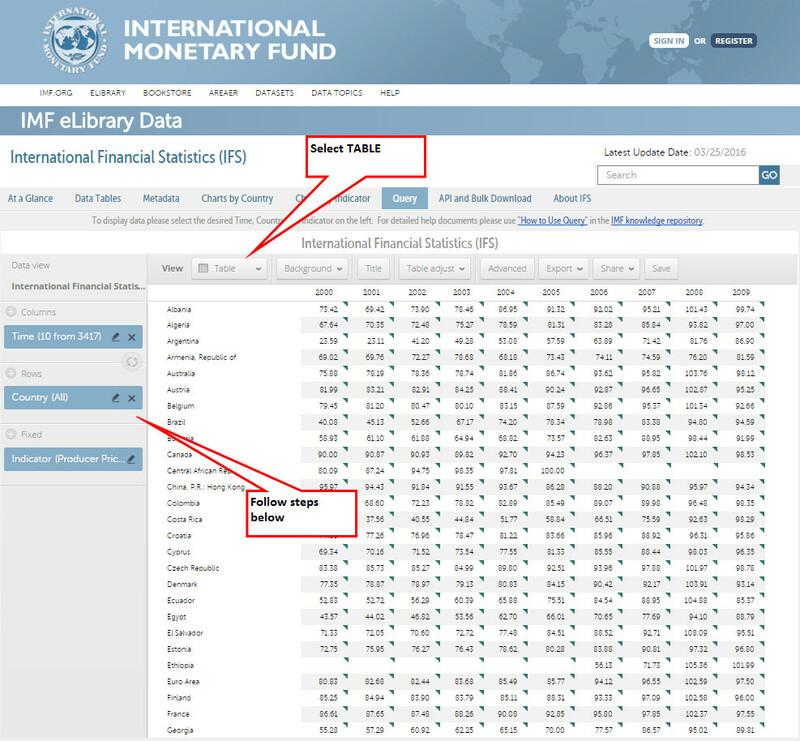 Table Instructions - The sample table uses the International Financial Statistics dataset and displays Producer Price Index data for selected countries from 2000 through 2009. Users may follow the steps below to replicate the following table. From the pop up dialogue box select 2000 to 2009. Click Apply and OK.
From the pop up dialogue box select All Item on Screen. Click Apply and OK.
From the pop up dialogue, type in Producer Price Index, All Commodities, Index. Click Apply and OK.